we have a webshop now! 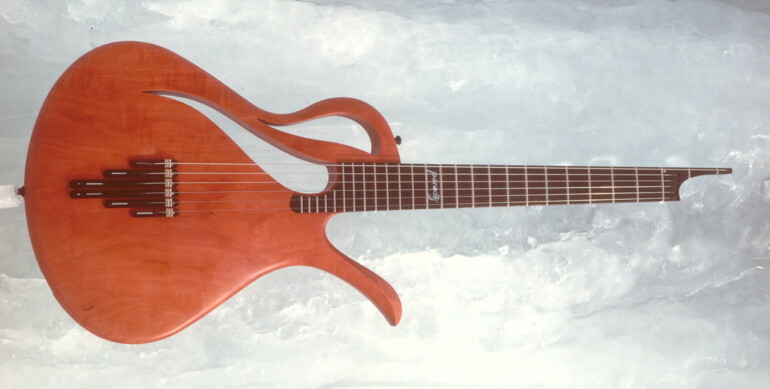 in 1991, in one of his most depressed and cynic phase, Rolf received the design contract which we had worked on for years with Mike Shimada and Fritz Katoh of Ibanez - a very serious and honest company! 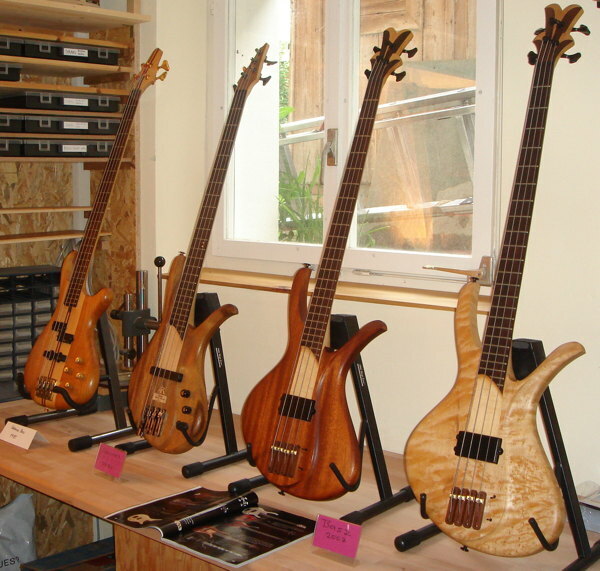 next to 900 instruments were made during about 3 years - is not the size such a company needs. the design was ahead of time. On ice, the design that summed it all up. Rolf said he dreamt it, around 1988. inspired by the mystics of the mother of his son, he called it Avalon. the technology is what Matthias created the years before, but new was the thin top and the nylon strings on a rather holow body. Rolf called it hybrid guitar later. Chet Atkins was about the only nylon solid body at the time, but it did not sound nearly as natural as the Avalon. so it was a big hit at the Frankfurt Fair in 1991. but lacking business experience, Rolf accepted to build 250 of them for a price that was not realistic. so he worked for years without really earning, and then gave up, exhausted, took a job and designed machines. Matthias was busy with the Echoplex in Brazil, so Paradis Guitarworks ceased to exist in 1995.
but we knew it: in 2005, he started again. created the company Rolf Spuler GmbH and called the instrument Paradis. he added a headstock since some customers had complained about the tuning on the back and about the "broken" or even "weapon" look of the the headless Avalon. the electronics became a lot more sophisticated, self contained, SMD, created by Philipp and others. the controls invisibly integrated into the bridge. Here are more pictures of details! so how about a new Avalon with built in electronics and maybe a bit lighter in weight and sound like the new one? Here is a picture of every Paradis guitar made since 2005, with serial numbers! Diguit and Eden were created to license a big guitar factory. 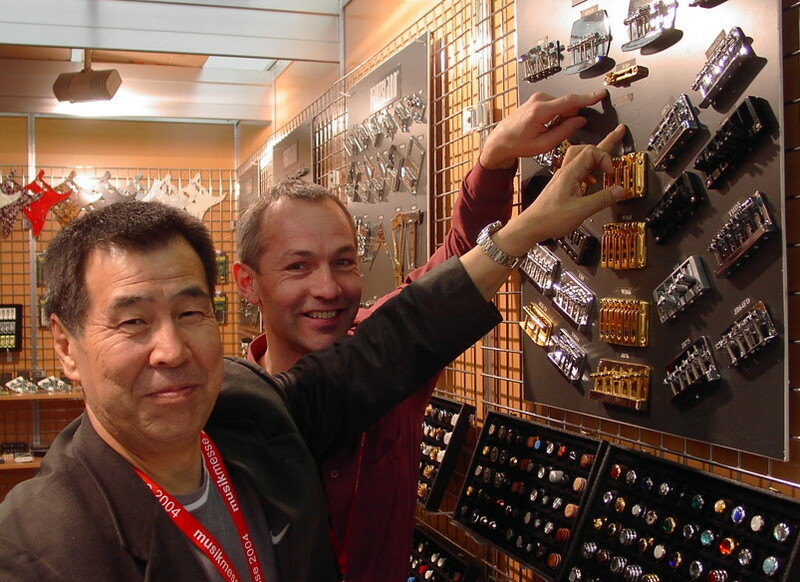 Serious negotiations happened with Fender, Ibanez, Fujigen and Höfner. Diguit contained a Axon guitar2midi converter and a BridgeCo FireWire 10ch audio+midi interface, a little display and a joystick like control. but a few years later, FireWire as outdated. BridgeCo and Axon went out of business. we were always fascinated by challenges and had a hard time to finish things and earn the money before making the new. he said he never sold it, it just DISAPPEARED! if anyone sees it, please report!